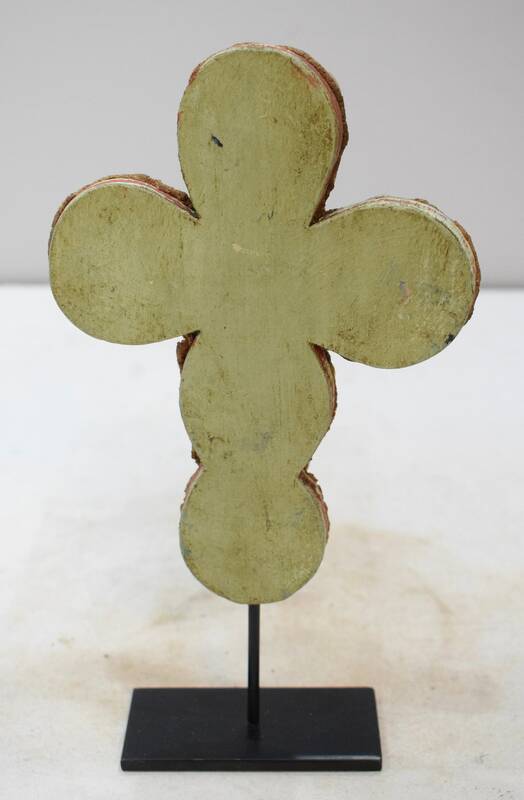 This is a wonderful handmade Cross from Kenya in East Africa. 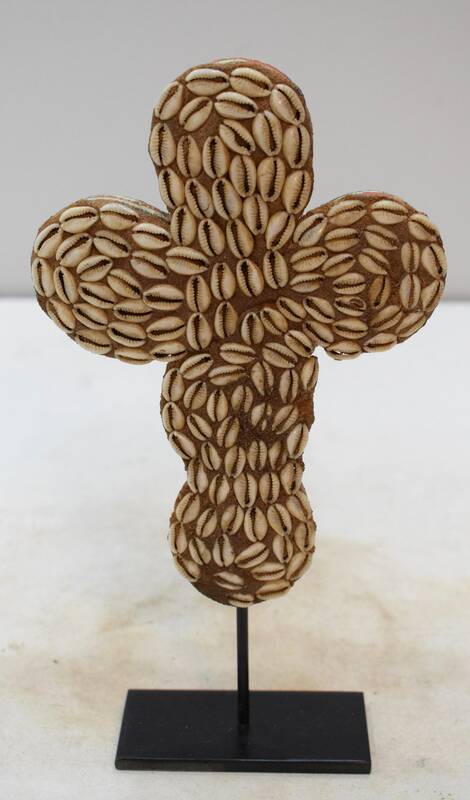 The local materials were gathered to combine together cowries shells and plywood. Then painted. Wonderful cross showing the local craftsmanship. Wonderful house warming gift or Christmas to add to your personal collection as well as another.